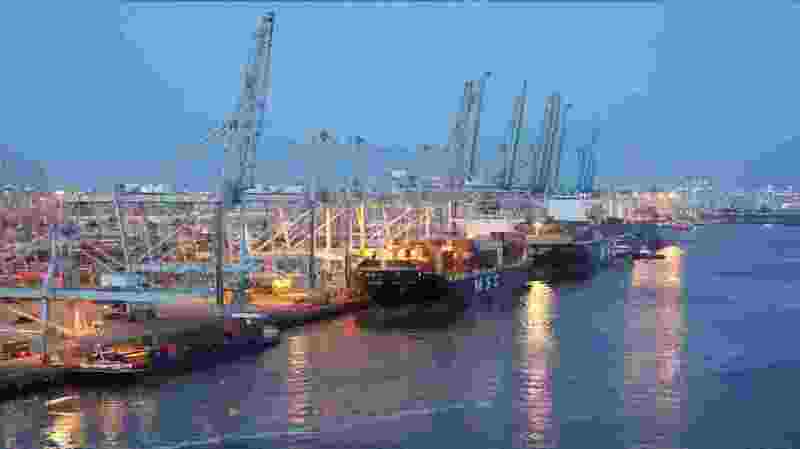 A shipping container exploded on Tuesday evening, October 30, at the Evergreen Terminal, located under the Vincent Thomas Bridge, in the Los Angeles Harbor in the U.S. state of California. “The Evergreen Terminal has been evacuated. All other terminals remain open. The explosion is believed to be an industrial accident,” the U.S. Coast Guard said. As informed, there have been no injuries reported to the workers at the terminal. The container was loaded with scrap metal intended to be exported out of the country. Based on the available information from the coast guard, officials are investigating 10 additional shipping containers believed to be carrying the same material. The Coast Guard is responding alongside the Los Angeles Port Police, Los Angeles Police Department, Los Angeles Fire Department and Customs and Border Protection.